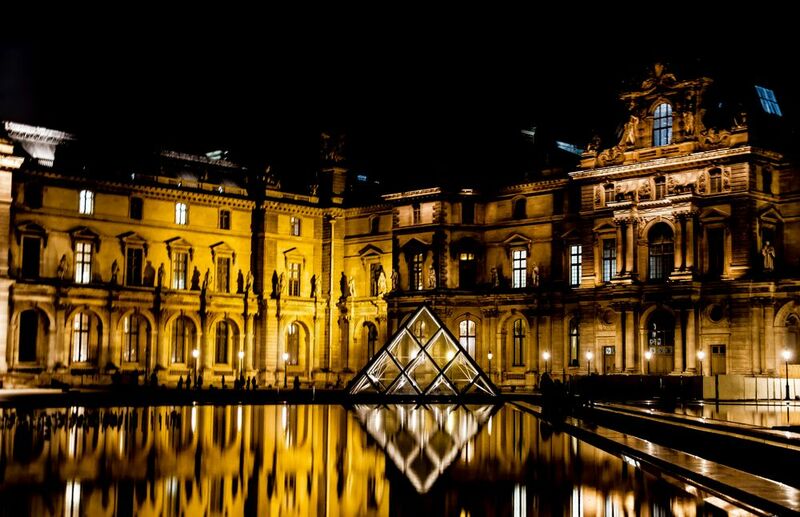 Novelty 2019: free night visits at the Louvre Museum! Saturday, January 5th, we had an appointment at the Louvre Museum for the first time in 2019 … How do you like the Louvre ? And how fond are you of free visits? The hotel Raspail Montparnasse tells you more about the free nights at the Louvre Museum! Inaugurated in 1793, and originally called “Central Museum of the Arts of the Republic in the Louvre palace “, the Louvre Museum is now the largest and most visited museum of art and antiques in the world. If the building itself is a very rich and historical source, the collections presented in the different wings of the castle are famous in the whole world ! There are masterpieces such as the Victory by Samothrace, the Venus by Milo, the Radeau de la Méduse by Géricault and even The Joconde by Leonard De Vinci. In total some 35000 art works of art are gathered there, from Western art of the Middle Ages to 1848, through ancient Eastern civilizations art such as Egyptian, Greek, Etruscan and Roman art, to finish by the graphic arts and the arts of Islam … It’s a complete journey! Every first Saturday of the month, from 6pm to 9.45pm, come and enjoy the Louvre for free! The free wings are the Denon and Sully wings. You will then have access to Italian and French paintings, as well as antiques and Islam arts! The Richelieu wing is also free, but only upon reservation (subject to availability). Indeed, animations are organized in the different courtyards of the wing, limiting access to a certain number of people. We thus attended a brass concert of the orchestra of Paris in the Puget courtyard. Then, we plunged into the dim light of the Khorsabad courtyard for a flashlight visit! Finally, we went for a walk in the Napoleon III apartments. What a pleasure to rediscover the Louvre museum in a new light ! So, would you also like to enjoy the free nights at the Louvre Museum ? Come and (re) discover Cubism in Paris!